Simple payment businesses such as Kakao Pay and Samsung Pay are looking to enter financial investment industry. Rather than just having partnership, they are looking to provide comprehensive financial investment products such as MMF (Money Market Fund) and CMA (Cash Management Account) through single online platform by acquiring stock firms. It is expected that this will change dynamics of current financial industries such as banks and stock firms that have depended on offline sales. 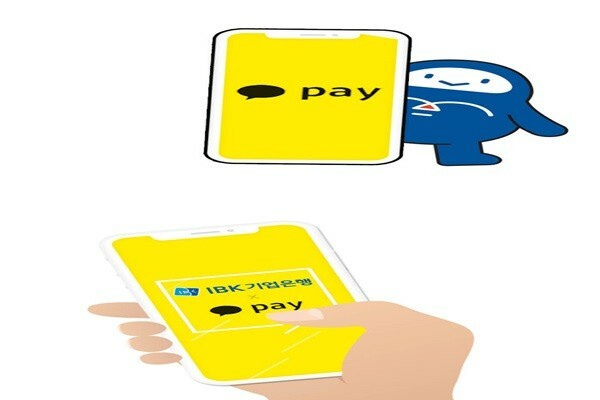 According to investment bank (IB) industry, Kakao Pay is looking to acquire BAROFN, which is a small stock firm with personal net worth of $37.1 million (41.9 billion KRW) at the end of last year and holds 100% of Shinan Capital’s shares. It is heard that it will cost about $44.3 million (50 billion KRW) for Kakao Pay to acquire BAROFN. Kakao Pay has been putting its name as a buyer within M&A markets for small and medium stock firms. It also participated as a buyer of Fund Online Korea, which is an online fund stock firm, during the first half of this year. Reason why Kakao Pay is looking to acquire a small and medium stock firm is because it wants to diversify sources of its profit by expanding its simple payment business. According to Financial Supervisory Service, number of simple wire transfer service uses in May was 162.93 million cases and it is 3 times higher than that of May of 2016. Amount of these uses totaled to $10.3 billion (11.6118 trillion KRW) and it is 5 times higher. It seems that Kakao Pay is also looking at a model by Alipay that invest funds deposited by its customers as short-term financial products such as MMF and CMA. Besides Kakao Pay, Samsung Pay and Naver Pay are also actively looking for partnership with financial investment companies. Samsung Pay, which is the top simple payment service in South Korea, recently partnered up with Fund Online Korea and has entered asset management market. It is utilizing strengths of online stock firms that sell online funds at low fees unlike other stock firms. Naver Pay also opened a service that is linked to CMA accounts through Mirae Asset Daewoo. Naver and Mirae Asset Daewoo exchanged their shares prior to this. Based on this, Naver Pay is planning to introduce various financial products through its simple payment platform. Financial industries are predicting that simple payment businesses will greatly change dynamics of financial industries as they expand their business towards financial investment industry. They are predicting that there will be lesser offline windows in the future as opening of bank accounts and asset management can be done through simple payment services. Some are predicting that there will be more demands to purchase small and medium stock firms as regulations on internet-only banks have been eased and that IT companies that have gained more knowledge in financial industry through simple payment services will start to expand their businesses through M&A. This prediction is the reason why some are predicting that Kakao Pay is preparing for revision of regulations on internet-only banks as it looks to acquire stock firms. Bank-stock one-stop services can also be expected as stock firms enter internet-only bank industry.